Train nuts aren't known for having the most positive outlook on life, here are a few comments I've picked up over recent times, many on internet forums sadly. Photography, these days it's all Photoshop! You don't want to do it like that, you want to do it like this! That question has been answered many times before, why didn't you think of using the search function? Not enough time to make a layout because I don't know how to turn the computer off! S&D means Stockton and Darlington not the Somerset & Dorset! I stink because I wash in beer once a year! Ex-pat; why don't I get the same deal as UK readers? Can I get Waterloo onto a sheet of 4 x 2 in O gauge? Why don't manufacturers make that loco? Why don't magazines employ proof reader? That feature on the Class 87 was all wrong, they should have asked here first! Can't wait, mine was posted today! Why don't gurls like me? 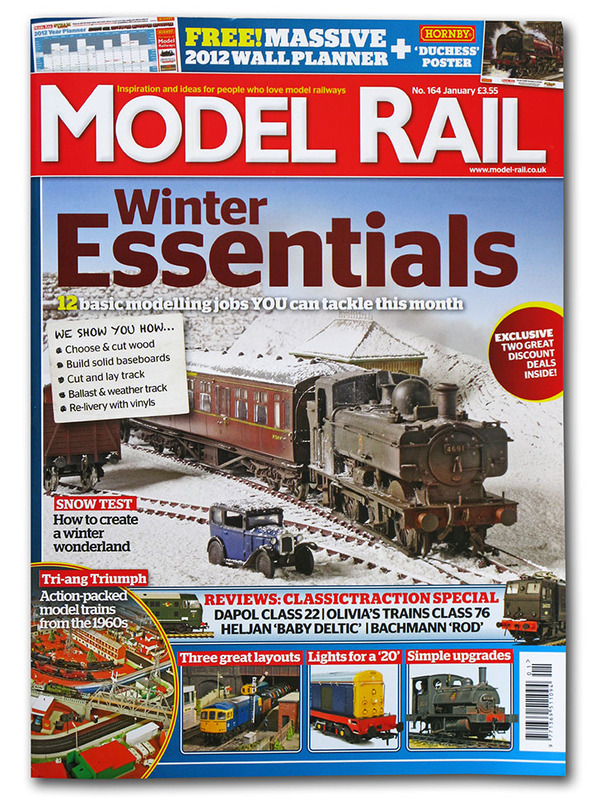 Winter Essentials is the theme for this issue, with literally dozens of products being tried out to create a temporary or permanent winter wonderland. But for the cover shot here I used sifted B&Q plaster through the kitchen sieve on the then incomplete Polbrock. I must stress that I would not recommend such even though it does very much look the part, it's gets everywhere and will certainly not do your rolling stock any favours especially if you get it into the workings. 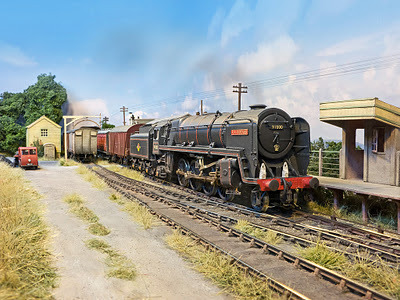 For this shot I took advantage of the fact that the layout had no scenery or ballast at the time and that all I had to do was take to it out into the garden for a good beating to remove the powdered plaster. Now I've told you what not what to do, rest assured that all the tips and techniques in the magazine are highly recommended and excellent examples of how things should be done! nevard_111120_warely_IMG_1980_MOON_WEB, a photo by nevardmedia on Flickr. Under a crisp full moon, 44560 passes Kimble North Signalbox with the late service. 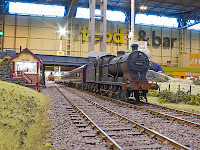 Captured at The Warley Show last weekend; the sodium light is unsuitable for serious photography, so rather than battle with the mixed sodium and daylight, a little Photoshoppery was used which primarily involved removing the ceiling of the NEC and replacing it with a Mediterranean sky. I also decided to de-saturate and colourize much of the image to replicate moonlight. Cheating? Well of course, and what fun it was too. Of course the other option would be to simply turn the photo into black and white, but I hope you'll agree this is a little more fun! 111119_polbrock_IMG_1960-web, a photo by nevardmedia on Flickr. Mr & Mrs Penguin ponder on whether they should go in to The Pedant & Armchair public house next to the halt at Polbrock. Deep down in the mystical country of Kernow all sorts of strange creatures are know to exist, everything from druids and dragons through to the well known but elusive Beast of Bodmin Moor. The Pedant & Armchair public house was known to attract all sorts of strange creatures, many with thick unfashionable NHS glasses and rucksacks who were interested in trains, Star Trek and the inner workings of personal computers. Mr & Mrs Penguin where no exception having travelled all the way from the southern tip of Argentina to sample the delights of the Penguin Porter sold exclusively at this pub whilst enjoying a discussion about mother boards or the delights of travelling behind a Brush Type 4 in a British Rail Mk2F carriage. In reality this is Polbrock my latest tiny micro, it's not even in Cornwall but on my dining room table 25 miles south of the smoke. My wife collects miniature penguins, with this duo being rather interesting; the left hand one is Murano glass and is well under an inch high, the one to the right was carved from wood by an ex-prisoner of war somewhere around Stafford well over 60 years ago during WW2. I'll try to find out more because it's most likely an interesting tale, with this probably being the only ever photograph taken of this delightful little chap who will almost certainly have outlived his creator. Whilst on the theme of WW2, you'll notice the pillbox that has appeared since the last update, it being the well known Wills kit that appears on every OO gauge club layout in the UK. I'm not sure such a structure would be so close to housing, but it fulfills the need to place something on on the far side of the line are part of the necessary scenic block. And anyway it's been kicking about in my kits-to-be-done box for 5 years so was well overdue. To please Daily Mail and metallic-support-stocking-beige Rover owners, this little scene has been shot against a sheet of pale blue card rather than having a backscene Photoshopped in. I'm possibly starting to favour the idea of a curved pale blue backscene maybe with a simple water colour over a home-grown photographic one - the jury is still out. Find out more about Polbrock here. Armchair & Pedant Now Open for Shandy and Rover 400 Drivers. 111116_polbrock_IMG_1930_WEB, a photo by nevardmedia on Flickr. The Armchair & Pedant is now in place to hide the right hand exit to the fiddle yard on Polbrock. Of course it still needs a proper sign, but my printer inks have dried up, so until I waste yet more time on cleaning the printer heads and taking out a mortgage to replace the inks it won't be happening for a bit unless I get a print done in the local Boots or Happysnappy next time I'm down in town. The sign on the right hand end of the building is a left over from Brewhouse Quay , and by the way it displays the imaginary 'Marriott Dent & Foster Brewery'. 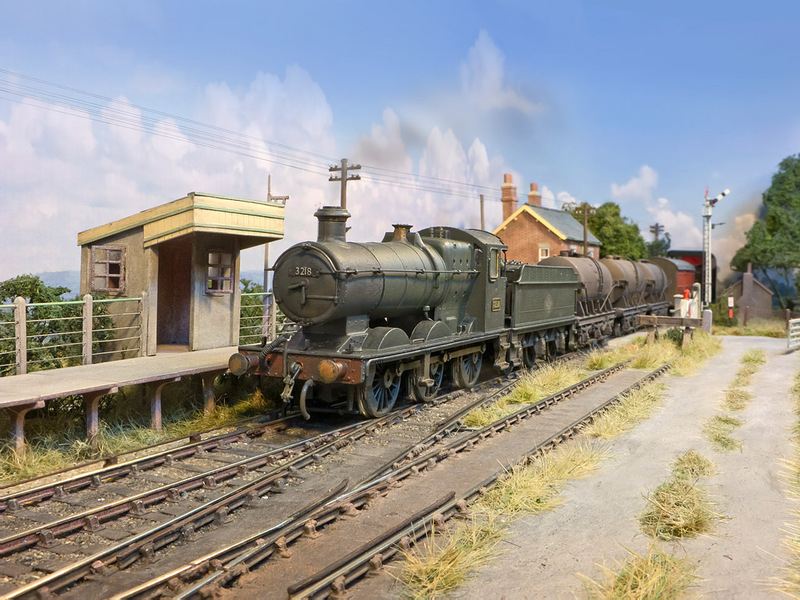 I've cheated with the backdrop here, it is part of the 4 foot long image file created for the backscene which has yet to be printed, and it has been super imposed behind the layout to see how it looks. I'm sure this will probably upset some 3 day old Daily Mail reading Rover 400 driving ex-pat living in Normandy in that I should be messing about with a computer to appraise what the backscene will look like in advance of physically producing a hard copy, for you I have an unadulterated photo here with just a sheet of pale blue/grey card behind the layout. 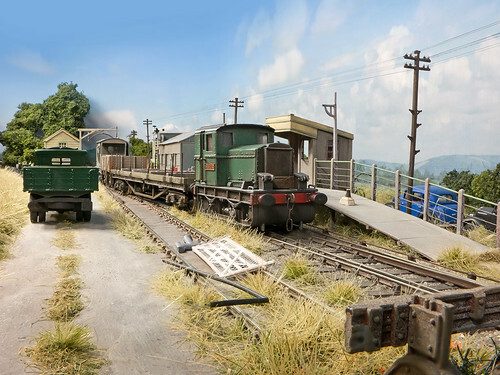 What is probably a rather dangerous level crossing will be protected with a warning sign in due course, and probably just behind the loco will be an old shed or platelayer's hut and maybe some more shrubbery to hide the transition between 3D modelling and the 2D backscene. Realistically this is probably about as far as I'm going to get with Polbrock before The Warley Show this coming weekend where it will be used as a prop to photograph some of the OO gauge new releases. Once that crazy weekend of modelrailwaymania is over, I'll be able to get this little layout to a stage of proper completion. 111108_austferry_DSC_4464_WEB, a photo by nevardmedia on Flickr. 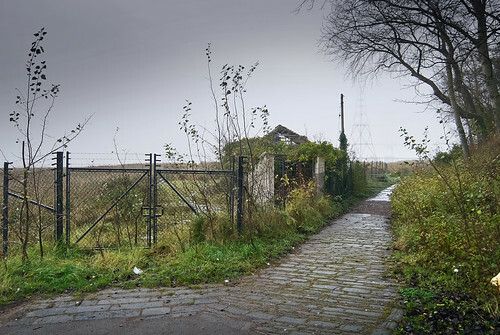 The England side of the long closed Aust Ferry terminal. It shut in 1966 with the opening of the Severn Bridge. 45 years on and it is still there. Even the turnstile still exists. Bob Dylan has a famous album cover shot here. 111114_beattieWT_IMG_1919_WEB, a photo by nevardmedia on Flickr. With the little Beattie Well Tank now in my possession I couldn't resist popping the little beauty on to Polbrock to see whether it fits in. On that note is 'it' a 'she' or 'he'? Presuming 'she' had a name, I think that 'Doris' would suit? That being the case, 'Doris' is all rather pristine and will in due course be given a little fake patina replicating a working engine rather than looking like a finalist in the X Factor. The trick with weathering is to create the effect of a working engine, but not make it look like it's been trashed and dropped in due-to-be-changed-cat litter - it's often a fine line. Maybe 'Kev' would be a better name for mucky engine? The 'set' is of course my latest micro Polbrock, which is far from complete, but finished enough to use it as a prop to photograph stock on. Recent work being to tidy up some of the static grass around and between the rails. During application I over-diluted the PVA glue a little too much making some of the grass fibres fall over through lack of support, over thinned glue being limp like a manager promoted beyond his or her capability. It was an easy enough job to rub the almost horizontal fibres off and re-apply with some less diluted PVA about 2 parts glue to 1 part water. Now the freshly applied fibres stand up boldly unlike limp management. Interestingly enough the grass fibres between the rails have no effect on running performance as long as they don't stray between the loco wheels and rail surface. A disposable razor run along the rail top is a good way to remove any stray fibres followed by a good vacuum and dusting of hair spray to keeping everything in place - you don't really want the little fibres getting in to engine mechanics. For the shot here, the camera was resting on the level crossing and the scene lit with natural window light. A large pale blue board and my rolling stock photo plinth thingamajig were then placed in the background to hide the lack of proper backscene and domestic furniture! Later in Photoshop I replaced the blue board with a de-focussed actual sky because the pale blue wall had some shadows on it. The smoke is the only other embellishment. I'm looking forward to sorting out the proper backscene which will have a fuzzy, misty Cornish inspired landscape which will negate the need to mess about with bits of board and computer editing too much. Bigger version of the above photo here. Oooh Beattie, You're a Right Beauty! Earlier today a much awaited Beattie Well Tank commissioned by Kernow Model Rail from Dapol was handed to me by the postman. This is the main reason for my current 'micro' taking the name of Polbrock, it being built to justify this delightful purchase which rarely ventured outside Cornwall. This isn't a review, that's been well and truly covered in the popular press and on various railway forums, so this more of a punter's appraisal, and the first thing to make an impression was just how great the packaging is, a proper foam inlaid box complete with a ribbon inside! I normally chuck the packaging, but won't be doing so in this case. The little loco is tiny indeed, after seeing close-up photographs in the various reviews for some reason I thought it a little bigger, but of course the real thing was only pint sized, it spending most of its life on the lightly laid Wadebridge to Wenford Bridge line pottering about mostly with mixed goods and china clay wagons. Looking at the photo above which I've lit to highlight the fine detail, shows that this is really no toy with a plethora of separate mouldings all factory applied, leaving just some vacuum pipes and route disks for the owner to place should he or she so desire. In my case I'll add these along with some working screw couplings topped off with a little weathering and probably some replacement real coal. 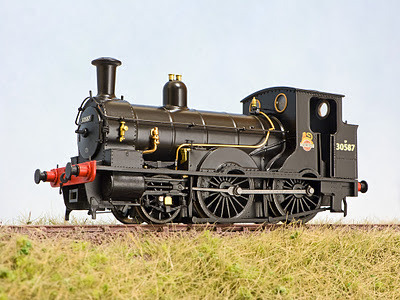 This loco as already mentioned is a special commission by Kernow Model Rail, and from what I can gather as with Model Rail's recent Sentinel also commissioned from Dapol selling really well. 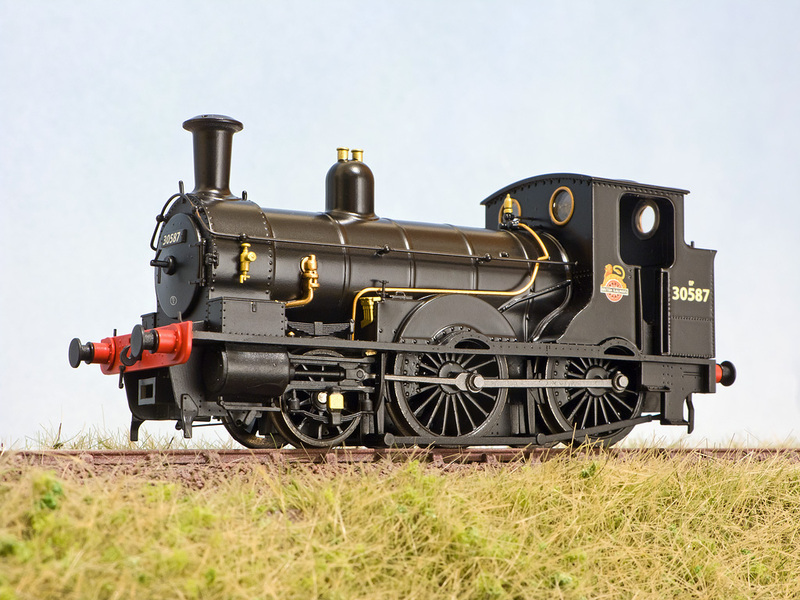 I do hope though that the majority of purchasers are modellers who intend to run these locos and not funny collectors who will simply keep them in boxes under their beds away from Mother who will almost certainly disapprove of their flamboyant purchase. If you'd like to see a few more snaps of 30587 like the shot above, follow this link HERE. 111112_polbrock_IMG_1894_WEB, a photo by nevardmedia on Flickr. Polbrock - late summer 1971 and the contractors are slowly clearing the line from a railhead 4 miles to the west of here. By May 1972 the rails had finally gone for good. 111111_polbrock_IMG_1865_WEB, a photo by nevardmedia on Flickr. 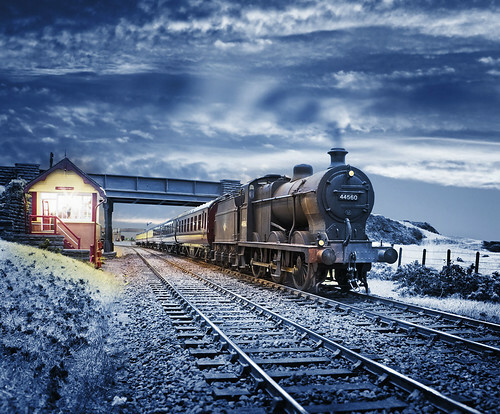 Polbrock - construction of pub/cottage to act as a scenic break next t the level crossing. It has the beginnings of painting the stone work. Woodwork will be picked out at a later stage along with still to be made sash windows guttering and downpipes. 111109_polbrock_IMG_1809_WEB, a photo by nevardmedia on Flickr. 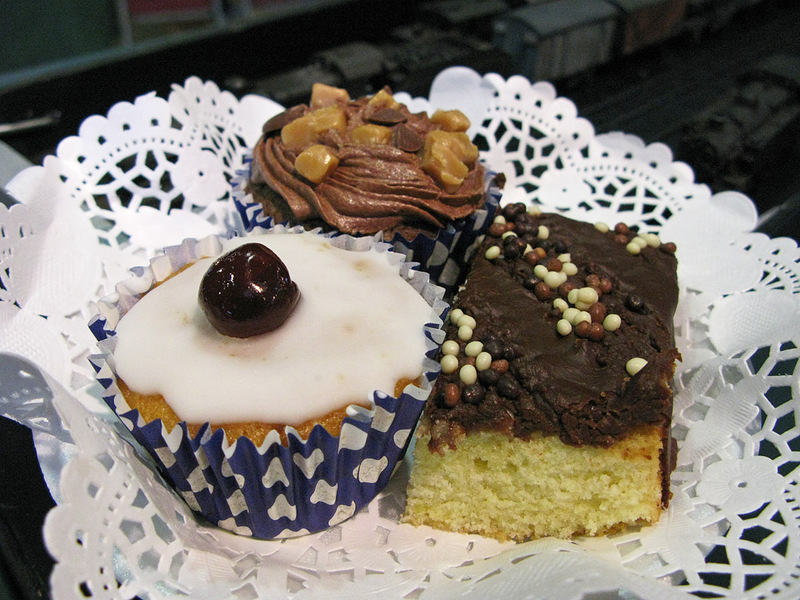 Hopefully a little scene a tad like that from the excellent Railway Bylines? 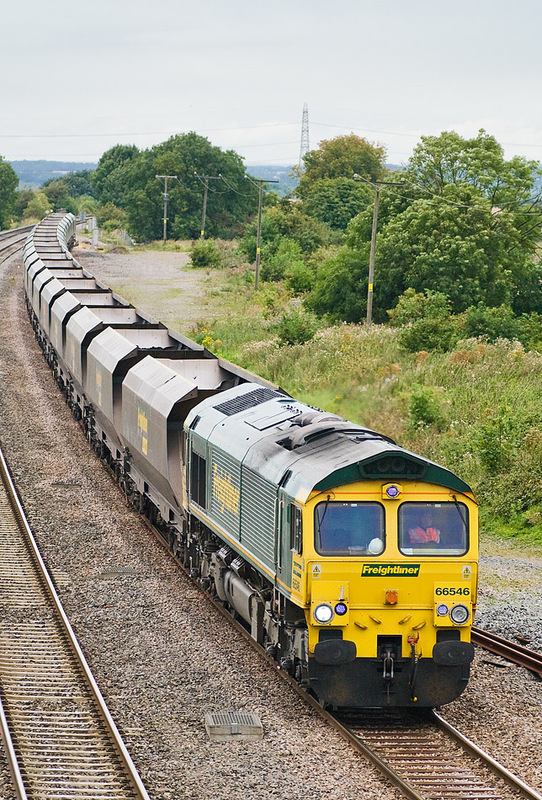 Here we picture an EWS class 08 trundling through Polbrock with coal for the nearby china clay works. Passenger trains haven't stopped here since 1967, and despite lack of use the ex-GWR corrugated iron 'Pagoda' looks in fine form considering its age. It would also appear to be in Southern Region colours, a result of frequent regional boundary changes. Enough twaddle; it is of course the latest micro-project, today seeing a flurry of static grass activity whilst trying out a new budget static grass tool. The layout could still do with a good vacuum to remove the excess fibres but I think the result speaks for itself which is a bargain at £25 plus a little extra for postage. You now have no excuse to use dyed sawdust anymore - well for grass anyway. There's quite a bit more to do on the little layout, for starters I need to fabricate two buildings to go in the far distance to act as a scenic barrier to the fiddle yard by the level crossing 'Helland Bridge style' (that sounds sort of Chinese take-away). The building in shot is my Cornish engine house which is temporarily standing in for this snap. Things like telegraph poles need to be added along with an open to the elements ground frame (do any of you fine folk know of a suitable supplier?). The photo here was shot in the garden against a big blue board for the sky, there will be a built in curved photo-back scene eventually depicting a hazy Cornish landscape. 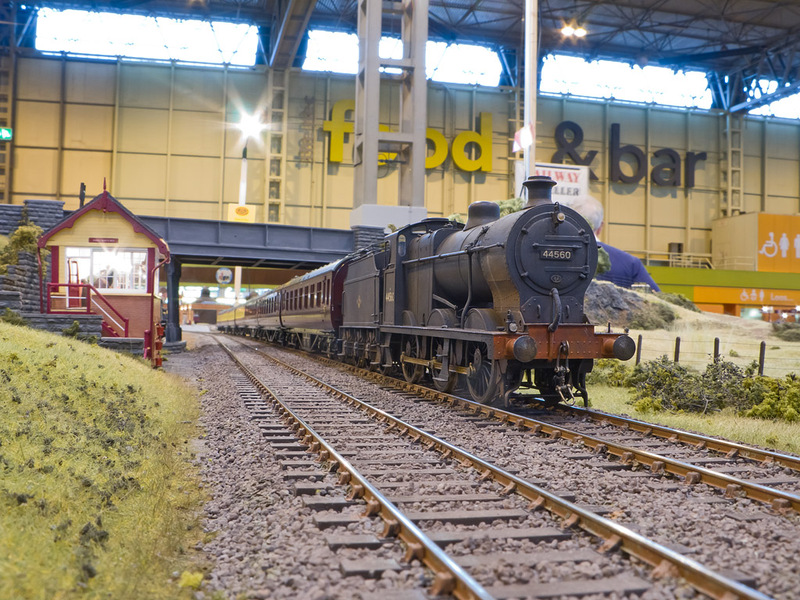 Whilst I won't have the layout finished, I will be able to take it along to The Warley Show at the NEC to use as a OO gauge photo prop on the Model Rail stand. See you there. A bigger version of the above photo here. Find the budget grass tool here. ﻿﻿Wycrail is always a shining jewel in the toy chuff chuff calendar, it being a wray of virtual sunshine the weekend after the clocks change plunging us into dismal, miserable darkness for 5 months. I gather it's to do with farmers in the very north of the British Isles, though why they cannot just set their clocks an hour later than everybody else for the winter months I have no idea, especially seeing most of them are being subsidised by the UK tax payer. 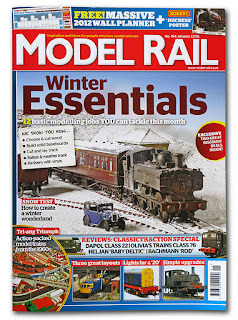 In the UK we've always been rather too obsessed with the minority and underdog at the expense of everybody else, well almost, the almost pointless Channel 5 stills needs to be replaced with 'Channel Rail' for us nutters with minority hobbies. Best stop, I'll get in to trouble and have my trainset trampled all over by a flock of irate sheep, men in kilts and Channel 5 employees! Catcott Burtle with a secret test train on a sunny late-summer morning. With my morning grump over; Wycrail was great fun with a good crowd around Catcott Burtle for most of the day, even during those silly moments put on especially to wind up enthusiasts from Tonbridge Wells featuring Ian Mellors' facinating 'could have been' creation of a Riddles 91XXX 2-8-2 (that's it above by the way). His stunning loco had on-board sound which even works with DC. Clever chap that Ian, and you can find out more about all of his smart stuff here. Rumour had it 'R.A. 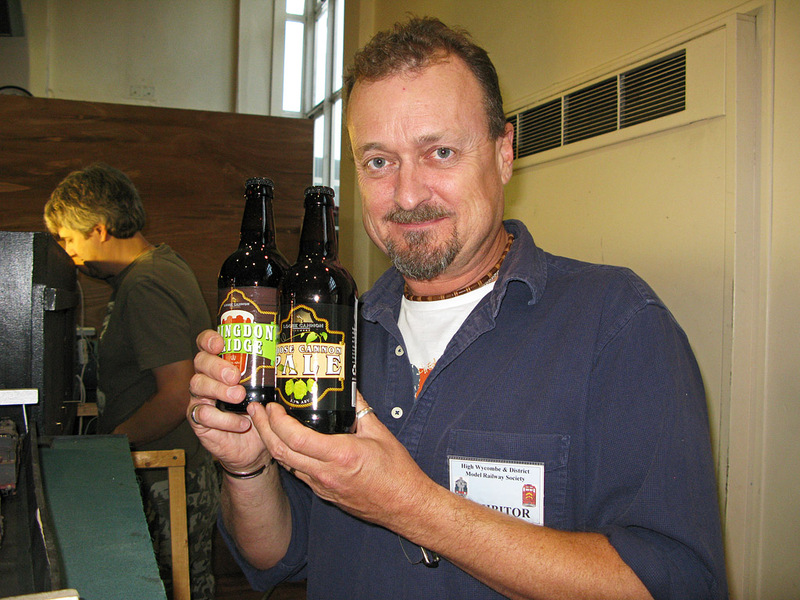 Riddles' will be appearing in the popular press soon as well - top man! I'm waiting now for some person who lives in a bungalow or who shares a bed with mother to tell me that such big locos would never have run along the former SDJR - I wonder if they've ever heard the sound of a raspberry? empty return milk trains destined for the dairy at Bason Bridge. nevard_110101_catcott_IMG_1723_WEB, a photo by nevardmedia on Flickr. Open 10am till 5pm. Saturday 5 November. nevard_090820_elford_4z05_66546_DSC_5501_web, a photo by nevardmedia on Flickr. Damaged cross members on the 4Z05 empty Drax - Daw Mill coal train captured at Elford Loop on Thursday 20 August 2009. Here's something I've never seen modelled, probably because it would be quite tricky trying to get the effect with moulded plastic - more of that in a minute. 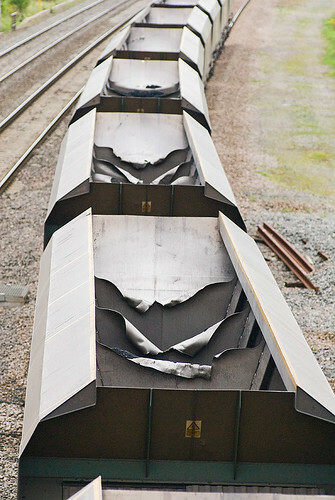 I'm no expert on coal hoppers and loading, but this looks like damage that could have happened during the loading? Most of the wagons in the train had this damage so presumably it's quite normal. If one wanted to model this interesting feature, it might be possible to remove the centres of the partitions and replace with some suitably distressed aluminium take-away container, the same type that Paul Lunn recently used to create home grown corrugated iron as showcased in a recent issue of Model Rail magazine maybe? Click on the photo to the right for a bigger view. nevard_110101_catcott_IMG_1739_WEB, a photo by nevardmedia on Flickr. Catcott Crossing, September 1966. It's just 6 months after closure and the demolition contractors have already started to dismantle the railway. Most of the railway buildings on 'The Branch' survived the demolition men, with many of then ending up in private hands, unlike the Bath to Bournemouth line which ended up losing well over half its stations to the swinging iron ball. It's interesting now as to whether the same thing happened again whether such woeful vandalism would be tolerated - for starters there are few people who would turn down the chance of owning an old railway station these days, certainly there would be far more money in such than a pile of stone rubble. But of course in the 1960's everybody hated anything old, we wanted new and modern, after all it was the space age! Now 40-50 years on we see old buildings that avoided the developers' mallets outliving some of the appalling tat the defined much of 1960's and 1970's Britain. I was only looking through a book of immediate post-war photographs of my home town the other day, and noticed just how much vandalism took place in the late 1960's, certainly down by the river and the main railway station. The book displayed some beautiful medieval architecture, the sort of architecture, which had it survived to the present day would easily place my town alongside the beautiful cities of York and Bath. Sadly now, due to likely backhanders at local government level a generation and a half ago my town will never achieve such status, but I'm sure it ensured a comfortable retirement for the already fat cats who passed the schemes. One can however take joy in the fact that many of these semi-legal abominations are now being demolished, it's just a shame that the individuals who instigated these urban re-developments are have mostly passed way and cannot see their demise. nevard_110101_catcott_IMG_1728_WEB, a photo by nevardmedia on Flickr. It's Wycrail this weekend, so Catcott Burtle has been set up for the last week or two sufficiently high off the ground to hopefully avoid the various scenic details being chomped on again by the cat who has a taste for white metal, brass and plastic card. The happy snappy above is of Catcott, the ficticious (maybe more 'faction') scenario depicting a mixed train off the Bridgwater Branch which regularly featured such trains. It's unlikely that an ex-GWR wheeled coach would have been used in this service, but I hope you'll agree it looks the part. The Morris 8 Series E, suitably grottied up adds a little depth to the shot. I'm guessing it's the photographer's car. Another dose of the pedants; the other day I received 'one of those armchair' emails that pops through from time to time with some chap taking great delight in telling me that I've got it all wrong because Catcott never had a halt and sidings. 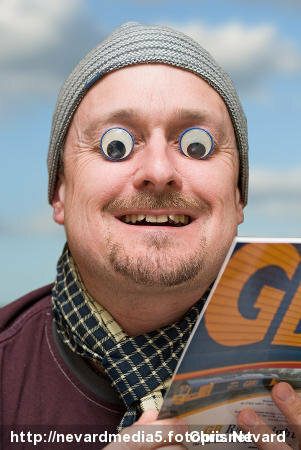 He'd even been on Google Earth to point other bits out that are different to the actual location. Well I know that of course, and because my parallel universe version is so different it's pretty obvious that this is a bit of fiction! This hobby is full of people with little imagination sadly, who only see things as black or white. I do wish they'd spend their time more contructively and actually do some model making rather than stating the obvious and wasting internet bandwidth. I consol myself in that he's probably a traffic warden with aspirations of being a lion tamer - he'll almost certainly have a squeeky voice and definately share a bed with 'mother' despite being 64 years of age.